Our migratory shorebirds are amazing, but they need our help. Help us build The Flock and spread the word. Migratory shorebirds connect inland New Zealand with the coast. They connect New Zealand to the rest of the world as they travel through Australia, the Pacific, Asia and the Arctic every year. 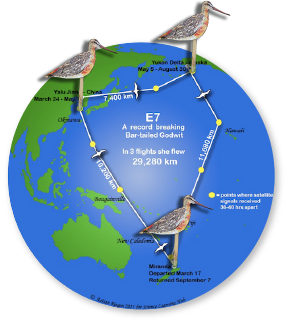 The kuaka (bar-tailed godwit) flies 11,000 kilometres, from Alaska to New Zealand, without stopping! The huahou (red knot), a tiny bird weighing just over 120 grams, can travel 10,100 kilometres non-stop NZ to China on their way to their Siberian breeding grounds each year. The tiny ngutuparore (wrybill) and much larger tōrea (South Island pied oystercatcher) migrate annually between New Zealand main islands, breeding in South Island river beds and farm land, and wintering on the North Island’s coasts. These birds have been making these trips for many millions of years. These amazing birds rely on a few, often well spread out habitats. These habitats are under threat. Ongoing loss of habitat in the Yellow Sea is causing the populations of the bar-tailed godwit and red knot to shrink. These species, and several other arctic migrants that stop for refueling in the Yellow Sea, were added to the IUCN red list of threatened species in 2015. In New Zealand, land use changes in breeding areas, pollution of winter feeding areas, and increased disturbance to feeding and roosting birds at coastal sites threatens the South Island pied oystercatcher and other endemic shorebirds. We want these birds to keep coming to New Zealand’s coasts each year. But there is a real possibility that in a few generations these birds will be gone, victims to reclamation, changing land use, sedimentation and coastal development. Protecting these birds requires protecting their habitats. Pūkorokoro Miranda is creating ‘The Flock’ to help spread the message about the threats facing our migratory shore birds, and seek support for Pūkorokoro Miranda’s conservation activities both in New Zealand and internationally. 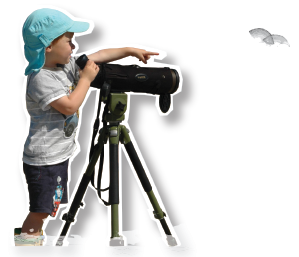 The Pūkorokoro Miranda Naturalists’ Trust has focused on shorebird conservation for 40 years. It works with partners in New Zealand, including the Department of Conservation and Fonterra through the Living Waters partnership, and overseas to keep these amazing birds coming to New Zealand. We’ve done a lot, but with your help we can do so much more.